Nearly everyone is deficient in minerals. Deficiencies in any one of the more important minerals can result in disease. A lack of mineral electrolytes can contribute to various health conditions, and can cause significant stress in the brain, nerves and muscular function. 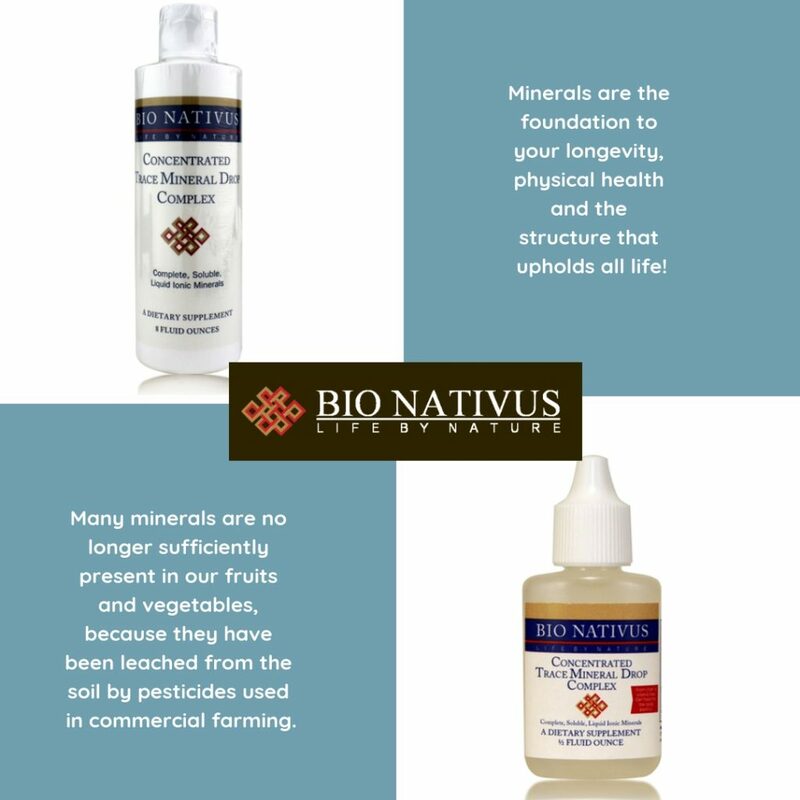 Bio Nativus Concentrated Trace Mineral Drop Complex, is a complete, soluble, liquid ionic mineral and electrolyte formula. It works to balance the body’s pH and improve the delivery of nutrients into, and removal of wastes from every cell, tissue, fluid, gland and organ, and as a result, protects against aging and disease. The Hair Mineral Analysis Test from Analytical Research Labs measures 19 important minerals, and toxic metals (lead, aluminum, mercury, etc.). Mineral content of the hair reflects the mineral content of the body’s tissues. Heavy metal toxicity is frequently the result of long term, low level exposure to pollutants common in our environment, such as, air, water, food, and numerous consumer products. Exposure to toxic metals is associated with many chronic diseases. Research shows that even low levels of lead, mercury, cadmium, aluminum, arsenic, or 15 other toxic heavy metals can cause a wide variety of health problems. Before the Hair and Mineral Analysis, we recommend using the Liver Support Formula. After taking 2-3 bottles of Liver support, then you can begin to perform heavy metal cleansing with Extended Health Heart Plus Detox. If you know you have weak kidneys, you may also use Loomis KDY with the Liver Support (call our office to order) or Premier Research Lab’s RenaVen. Aerobic Life Mag 07 keeps the bowels moving freely during cleansing and does not raise magnesium levels in the body. Extended Health Heart Detox Plus not only clears the body of toxic metals and chemicals, it cleanses the arteries and blood vessels. This cleanse is one of the very best actions you can take to clear and prevent disease. For great health this should be done at least once every five years. Heavy metal exposure is unavoidable, but that doesn’t mean your hands are tied. You have the power to help your body detox the unwanted stuff, recharge your immune system, and take your life back! Our most important tip: Test yourself! 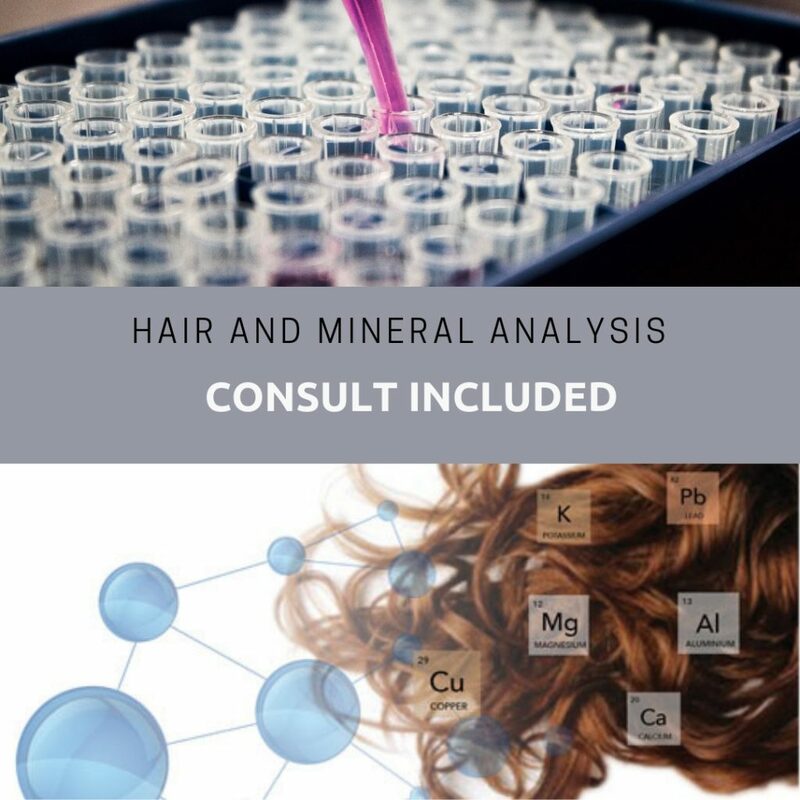 A Hair Mineral Analysis will give you a baseline so you know exactly how much metal you have in your system. For more information call our office at 303-845-1827 or email us at info@longnaturalhealth.com.